Guide the little Sapples to the mountain lodge by assigning them special skills, drawing objects and manipulating the game world! You can additionally create your own levels and share them with your friends. 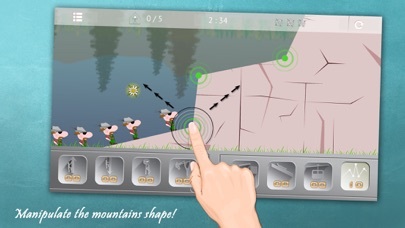 Sapples is a sandbox puzzle game whose goal is to guide a group of little humans - named the Sapples - to the lodge on top of a mountain. In order to save the required number of Sapples, there are 8 different actions to your disposal. These actions are divided into 2 groups: 1. 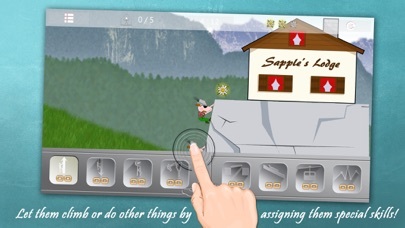 Actions to perform on Sapples: select one of the special skills and assign it to one or more Sapples. 2. 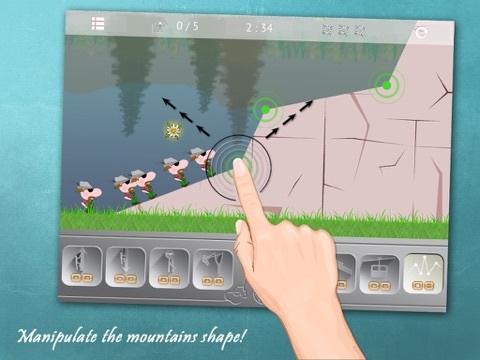 Actions to perform on the game world: manipulate the game world by drawing objects with your finger or by placing or moving objects. Unless assigned a special task, each Sapple walks in one direction, turning around if he hits a passage he cannot move ahead. Reaching any edges or overhangs without an assigned skill will cause them to fall down and die. Every level has a time limit therefore if the clock counts back to zero, the game automatically will end. 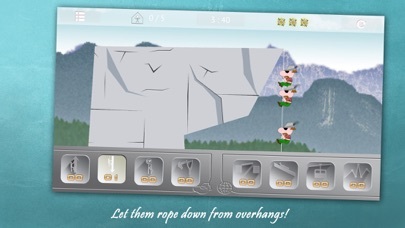 In each level the player is able to collect up to 3 edelweiss to get extra points. Once completed all levels, you can test your skills on the awesome levels created by the community! The game also includes an easy-to-use level editor, which allows you to create your own levels in a very short time and without any previous knowledge! The levels can be saved locally on the device or even in the cloud for sharing them with other players! Manage a friends list to find new levels created by your friends faster. + Guide the Sapples to the mountain lodge. + Manipulate the game world. + Assign special skills to the Sapples. + Draw game objects. 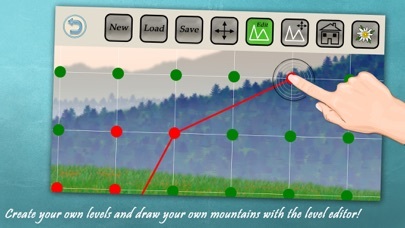 + Manipulate the shape of the mountains, including its physics. + Build bridges, toboggan runs, lifts ect. + Innovative game mechanic. + Play additionally levels, created by the community. 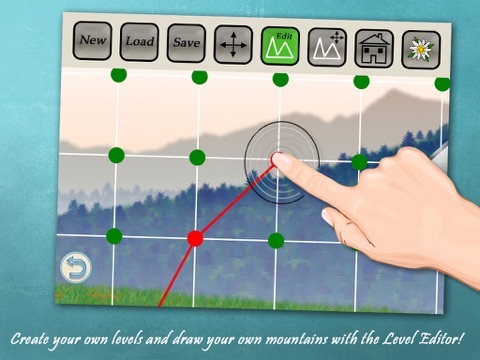 + Create your own levels and share them with other players. 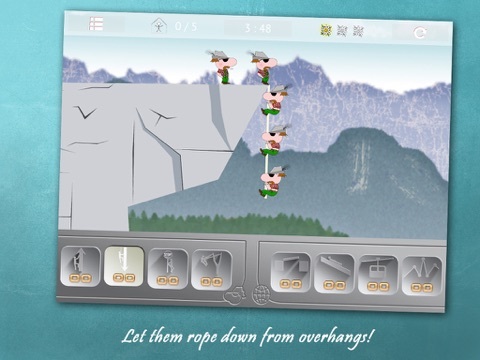 + Collect the 3 edelweiss, hided in each level. + Real 2D graphics. + Bidirectional multilevel parallax scrolling.